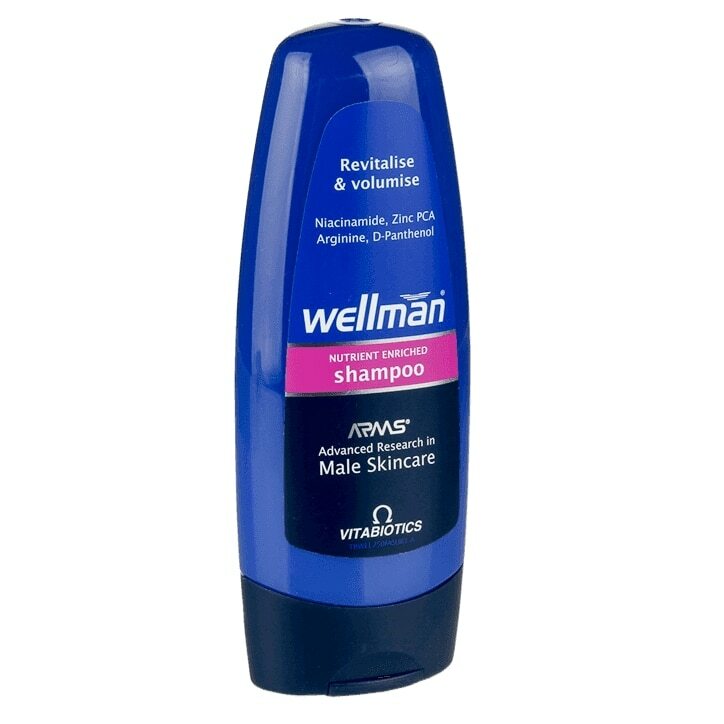 Formulated especially for men, Wellman® Shampoo cleanses and invigorates the hair and scalp, leaving hair healthy looking, shiny and volumised. Advanced Research in Male Skincare (ARMS®) to gently cleanse and care for the hair and scalp, leaving it refreshed & manageable after every wash.
An active formula with advanced polymers that helps to add thickness and volume to your hair. Niacinamide (niacin) helps to increase circulation in the scalp, combined with Zinc for anti-dandruff protection. Arginine and D-Panthenol moisturise & condition the hair.